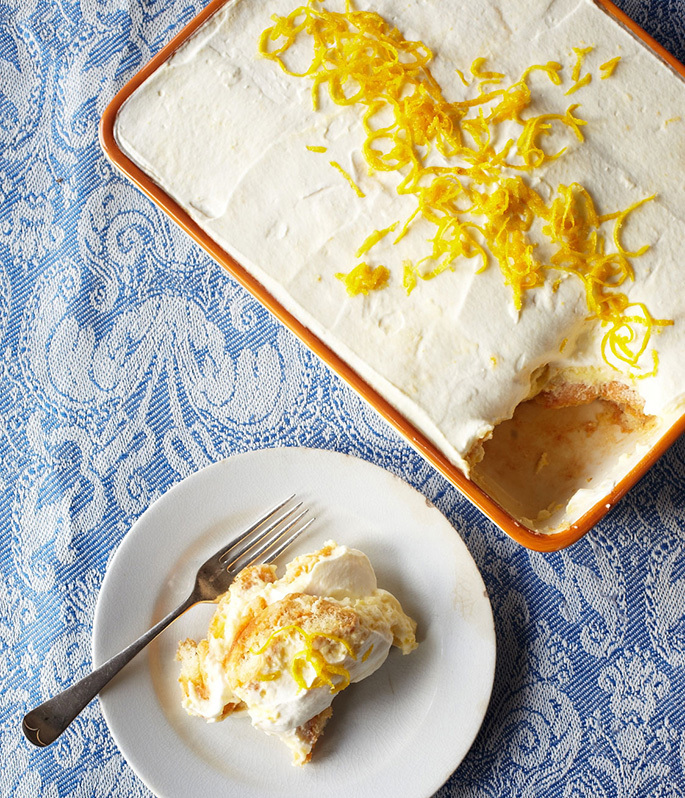 Limoncello Tiramisù is a favorite dessert of mine – and soon to be one of yours! Not only is it a simple recipe that will impress family and friends, it is also a brilliant way to take care of your leftover Thanksgiving cookies and cake. In my new holiday special, Lidia Celebrates America: Holiday for Heroes (check your local listings for times), my friend Bryan Anderson explains the army tradition of creating desserts from leftover dessert rations for their comrades celebrating birthdays. As Bryan told me his story, I knew I had to share this dessert with him – a fanciful homage to the MRE birthday cakes created by his platoon.